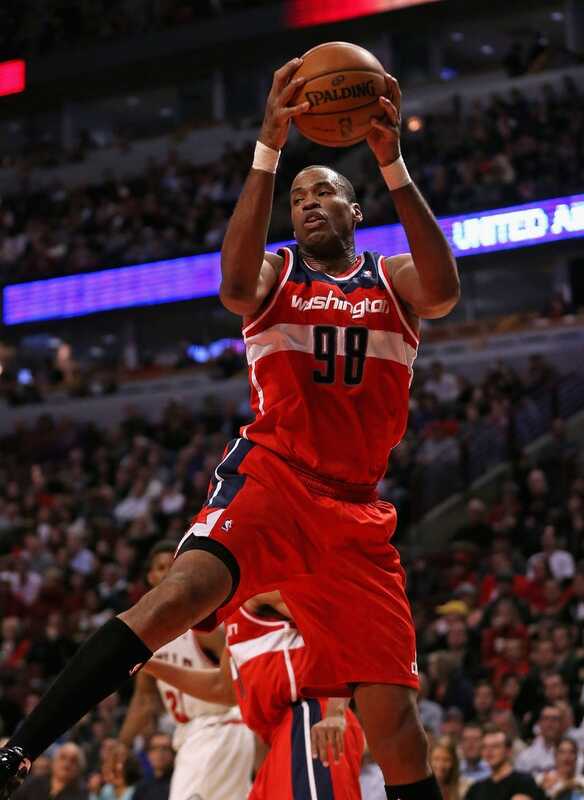 As of this morning, Jason Collins is the NBA's first openly gay player. But for two years, he's been hiding a tribute in plain sight. 34 has always been Collins's uniform number of choice. He wore it at Stanford. He switched to No. 35 when he came into the league with the Nets, because 34 was taken by Aaron Williams. But upon being traded to Memphis in 2008, he went right back to his favorite number. Collins never explained the switch at the time, though this past season in Washington, he joked it away, telling the Post that he wore No. 98 to give the referees problems when they had to hand-sign his uniform number when calling a foul on him.